PETALING JAYA: The Kuala Lumpur-Singapore High Speed Rail (HSR) may boost the valuations of planters’ land bank due to property development potential, according to CIMB Research. Sime Darby Bhd, Genting Plantations Bhd (GENP) and Kuala Lumpur Kepong Bhd (KLK) have their own property arm to develop the land but may selectively sell some of the land to unlock value. This can boost near-term earnings via land sale gains. However, the rise in land values from the spillover of the HSR projects may differ for the seven terminals in Malaysia. “The improvements in property values will depend on the population of the area, connectivity to the final destination, and pricing of the tickets. “In a poll taken during the symposium on HSR, the audience ranked Greater KL as the preferred location to buy properties, followed by Seremban and Iskandar Puteri, among the seven HSR stations,” said CIMB Research. Sime is expected to be the main beneficiary of HSR stops in Seremban and Muar, as the proposed stations are likely to be located in Labu and Pagoh, where Sime has about 15,000 acres of land. Meanwhile, GENP is touted to be another beneficiary as the Batu Pahat station could be located in its Pura Kencana project. KLK stands to benefit from its joint venture with UEM in Iskandar as the Iskandar Puteri station may be located in its project. KLK has a 60% stake in this project with a land area of 202ha. “Our estimates show that for every RM5 per sq ft increase in the value of the landbank where the proposed station is located, revalued net asset value would rise by RM2.45 for GENP, 52 sen for Sime, and 10 sen for KLK,” said CIMB Research. The spillover benefits from the rise in land value from the HSR project are long term as the project would only be completed in 2026. Malaysia and Singapore had signed a memorandum of understanding last month to work towards commencing the HSR operations. 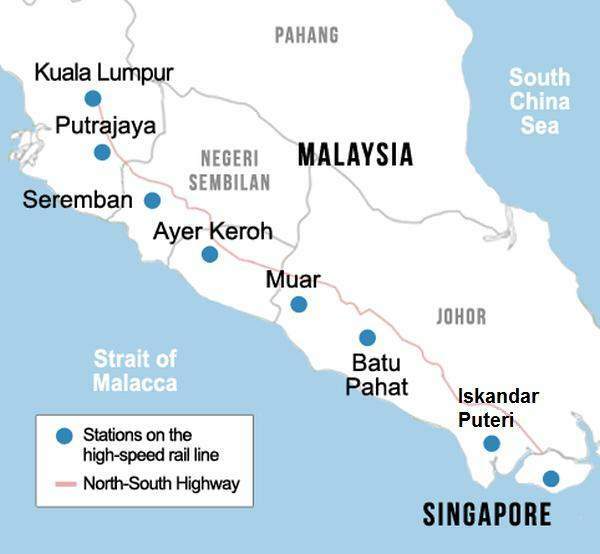 Both governments had also agreed that the 350km HSR would have eight stations, with the main terminals in Bandar Malaysia (Kuala Lumpur) and Singapore. The six intermediate stations would be located in Putrajaya, Seremban, Ayer Keroh, Muar, Batu Pahat and Iskandar Puteri. The project is expected to cost an estimated RM50bil to RM60bil.